As young children we start out building pillow castles and blanket forts. We use twigs to build fairy houses and blow on dandelions, knowing that each little puff of heart fulfillment is carrying our wish where it needs to go to come true. Old shopping-cart wheels and cast off wood planks were used to make go-carts. We climbed trees to see things from a different perspective. That ability to change perspective kept us youthful and happy. An Imagineer is a Disney ambassador of creative wish fulfillment. They use their skill and training to make magic come to life. What they also do is dream the impossible and make it possible. In the past several years I have realized that making what seems impossible, possible, bridges a gap between youth and adulthood. The more I do this, the more I love spending time on that bridge! 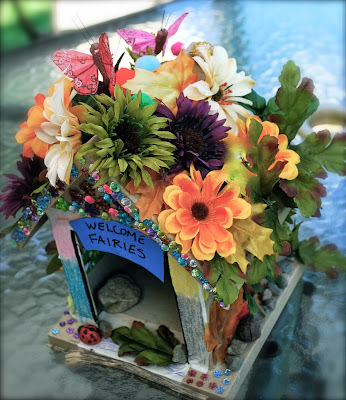 Once I tapped into this creative Imagineer lurking in my childhood brain, I bought a damaged birdhouse for 99-cents. As I looked at it, it sort of reminded me of the house from “UP” (who doesn’t love that house?). The problem was that the layout was wrong. I knew if I could switch the structure around and use some paint and ingenuity, I could have something resembling the house. I took the unfinished birdhouse to the local hardware store. They said that it could not be done unless they used a very light touch and it would still likely fall apart. However, they would try for $75 per hour and it would take 2 hours. $150 to repurpose my 99-cent house. No thanks. 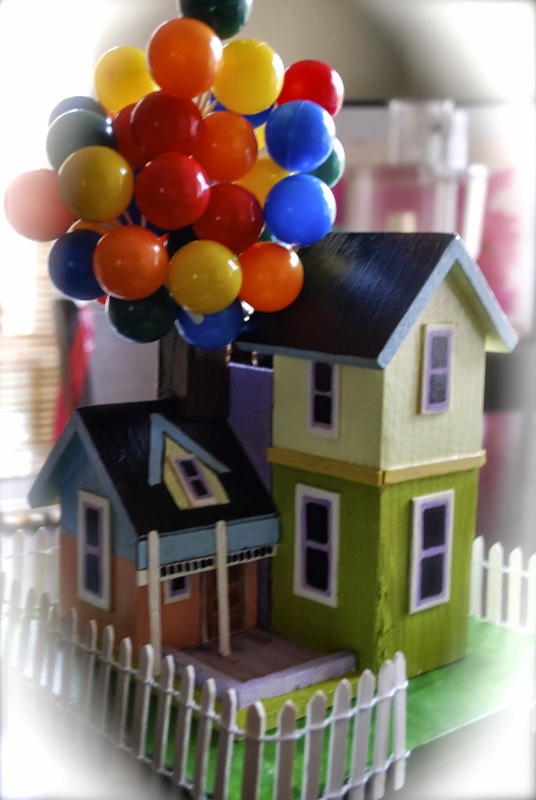 I took it home, gently pulled it apart and put it back together… Added balloons ($3) and here is my $3.99 “Up” house. Find that creative inner-child and start doing the “impossible.” I promise, the view from the youth-to-adulthood bridge is incredible!